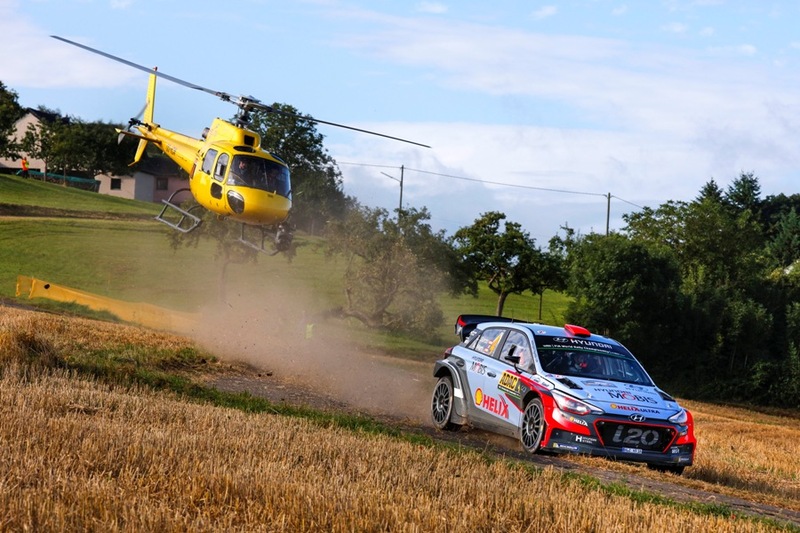 John Fife: Rally - Black Forest gateau? 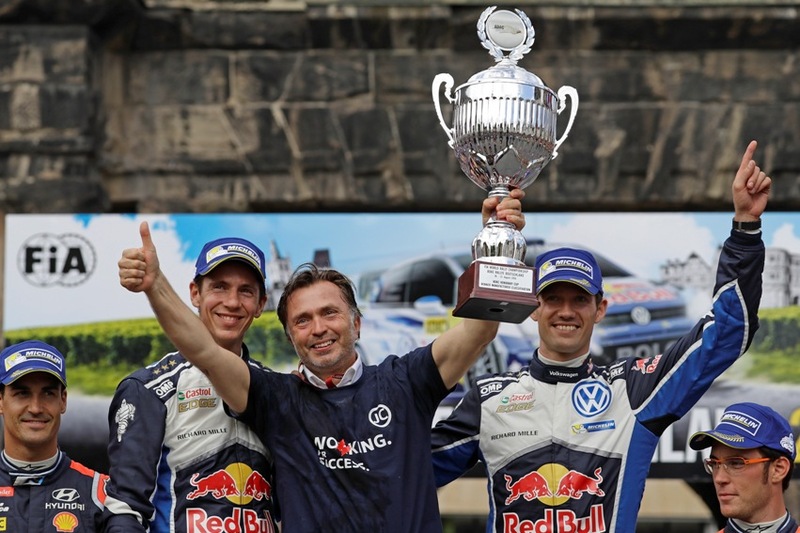 It was perhaps fitting that the Volkswagen WRC team boss, Jost Capito bowed out with a victory on the team's 'home' event. On his last appearance as team chief before moving to assume the CEO role at McLaren F1, Capito had many reasons to be cheerful - and ended up with cake on his face. Back on tarmac, there were no real gripes from any of the front runners about running order, although the amount of gravel raked out of verges during 'corner-cutting' and 'super-cutting' must have made later runners question their tyre choices at times. 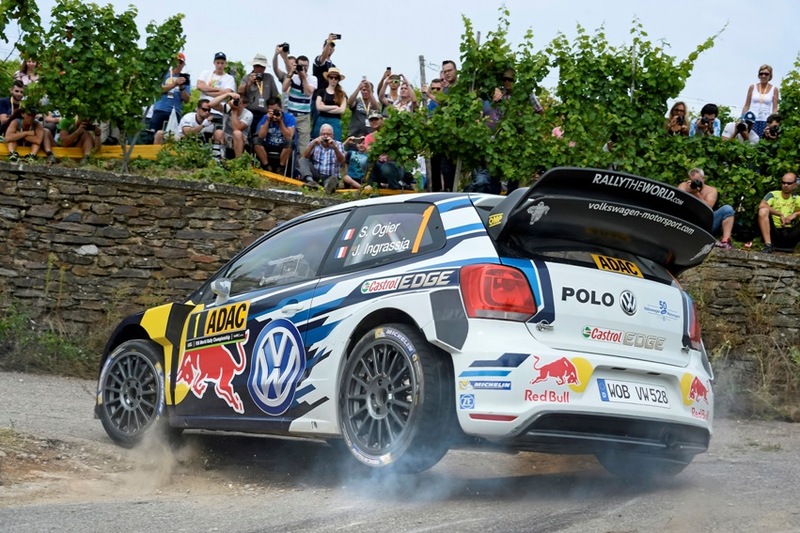 Whatever, Sébastien Ogier and Julien Ingrassia were back on the winning track at the weekend on Rally Germany. As they did last year, Ogier/Ingrassia won round nine of this season’s FIA World Rally Championship (WRC) with the Polo R WRC. Extremely difficult conditions, ranging from dry asphalt to wet concrete, made tyre selection a real challenge all weekend. Their closest rival, Andreas Mikkelsen just failed to take second place in a thrilling finale and ultimately had to settle for fourth behind the ever improving Hyundai squad, led home this time by Dani Sordo from Thierry Neuville - who finished just one tenth of a second apart after a thrilling duel for the runner-up position. Jari-Matti Latvala finished well down the order after suffering a damaged gearbox on Friday. And then there was ... the revenge of the cake. Jost Capito “presented” Jari-Matti Latvala with a cake at the 2014 Rally Sweden. In celebration of 300 stage best times, the cake ended up in the Finn’s face back then. After the Rally Germany came the revenge with departing Motorsport Director Capito on the receiving end of the cake this time - “presented” by the 2014 and 2015 runner-up in the world championship.